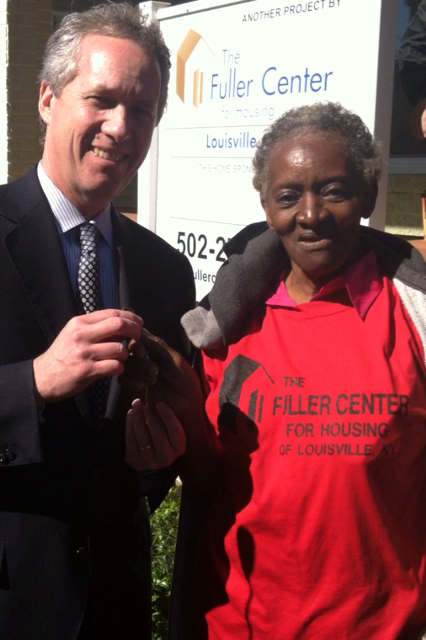 When Louisville, Ky., Mayor Greg Fischer handed the keys to the newest homeowner partner with the Fuller Center for Housing of Louisville on Wednesday, it was a celebration for a pair of survivors who got second chances — homeowner Carolyn Mayes and the property itself. Mayes, 61, already an asthmatic, was diagnosed with lung cancer in 2005 and had to have part of her lung removed. When it showed up again last year, she went through radiation treatments and beat the cancer back once again. She works at the Spirit of Love Center, a church adjacent to the Shawnee neighborhood that has been revitalized by The Fuller Center of Louisville. “I’m blessed to be able to still be here and be a testimony to somebody else who might be going through the same thing and let them know, hey, God has got you. He can heal you,” she said. 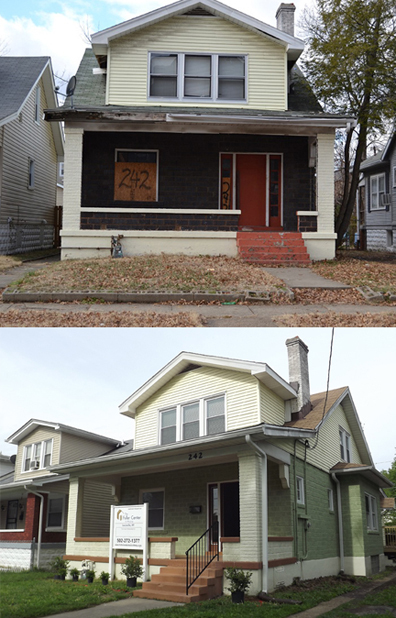 Her South 41st Street home has bounced back, as well, and stands as an example of what The Fuller Center’s Save a House/Make a Home initiative is all about. It sits in the same Shawnee neighborhood where FCH Louisville has been working on similar house reclamation projects and where it hosted the Derby City Build last year. Even so, FCH Louisville had to sit on the property for a year because Kentucky has a right of redemption law that allows a party whose property has been foreclosed upon to reclaim that property if the foreclosed sales price is two-thirds of the appraised value. But the party must pay the sum of the unpaid loan, plus costs and 10 percent interest, and they must do so within one year. When FCH Louisville did receive the property, it swung into action with a lot of support for a woman loved by the community and the Fuller Center covenant partner that she had been supporting since it began working in the neighborhood. Mayes, who will share her home with a disabled daughter and two grandsons, was a Fuller Center volunteer through Spirit of Love long before she thought of becoming a Fuller Center homeowner herself. 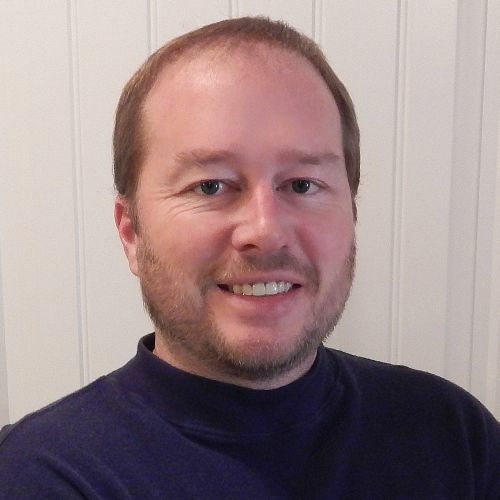 Grace Patterson, who chairs FCH Louisville’s family selection committee, said Mayes is the kind of person others love to support in The Fuller Center way of offering a hand up rather than a handout. Spirit of Love has been a key Fuller Center partner in the neighborhood, and Mayes has played a major role in taking that partnership to new heights. Mayes is happy not just for her new home but for the neighborhood that has been brought back to life through the work of The Fuller Center and its many partners and supporters. A deeply spiritual woman, Mayes added that there’s another force at work in the neighborhood. View this inspiring and informative video from the City of Louisville from the dedication. Your donations to The Fuller Center for Housing help us make these success stories possible. You can contact the Fuller Center of Louisville at 502-272-1377.